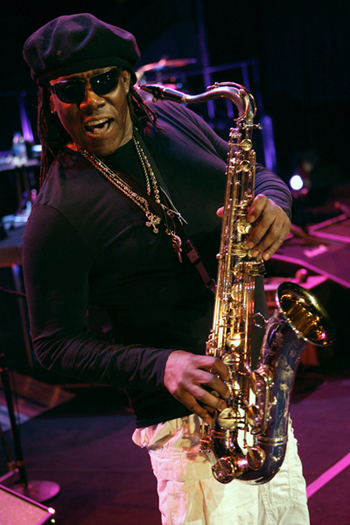 Unfortunately Clarence Clemons passed away this weekend after complications from a stroke. He was 69. First up is Steve Janasie. In a cynical world, it is all too easy to write off the magic that exists between an entertainer and his fans. Some will call it silly, overly sentimental, or go so far as to suggest that it holds no meaning. If you can help yourself, try to never go to that place. Each of us has the opportunity to experience innumerbale loves in our lifetime, of innumerbale variety. But love is love is love, and any love is a thing to be nurtured and cherished. Growing up in Jersey in the 80's and the 90's, you had to make a vital decision that would ultimately define you in the eyes of your fellow statesmen and stateswomen. You had to declare allegiance to one of two tribes - Bon Jovi or Bruce Springsteen. Neutrality was unacceptable. From the moment I could start dressing myself, I was blue jeans and white t-shirts all the way. As magnetic as the Boss was to a young boy, there was a second force of nature on E Street who literally blew me away. I was lucky to catch on to the magic of music at a fairly young age and around 1984 or 1985 I understood two concrete facts about the world around me - Walter Payton and Clarence Clemons were the two coolest people alive. For me, Clarence's saxophone has simply always been around. In third or fourth grade, I got a small evergreen for Arbor Day. I named it Clarence and planted it in our backyard as a monument to Clemons' unsurpassed soul. The relationship between Bruce and Clarence taught me one of the most important lessons of my life - that a black American and a white American could not only get along, but share profound and complete love for one another. I think they taught a lot of people that and it is something Bruce has already subtly remarked upon with the Big Man's passing. Sly and the Family Stone showed a generation that black and whites could work together to make something beautiful. Bruce and Clarence took it a step further, at times becoming one, and showing the world that blacks and whites can simply BE something beautiful. I have had the opportunity to see Bruce Springsteen and the E Street Band on many occasions and I can tell you without a trace of hyperbole that every single time they thoroughly rocked my world. I firmly believe that they are without peer, the best live band in America today, and perhaps in the country's exciting musical history. They bring it every night with the knowledge that this might be the only time that YOU get to share a room with them. This is the ultimate expression of love from a band back to its fans. I don't know where E Street runs from here, I can't fathom how they will go on, and yet I feel certain that they will. They found a way to live on past and pay tribute to Danny's organ and accordion, and they will do the same for Clarence. Family doesn't stop being the family with the passing of kin. The last time I was on E Street I was with my wife at her first Springsteen show. At one point, we were standing in one of the hockey stadium's upper gates overlooking the crowd and the light show, holding one another and listening to Clarence Clemons blow out the majestic solo from "Jungleland". I consider it one of the watershed moments in our young love and I refer back to it often. I feel privileged that Jennifer, Clarence, and I had the opportunity to share that moment and our love for one another. And now, ladies and gentlemen, appearing stage left in heaven's orchestra, weighing in at 265 pounds, the king of the world, the master of the universe, a man who needs no introduction, the Big Man, Clarence Clemons. Blow that celestial horn, my brother. Thanks Steve....and now a tribute from Bono, The Edge and crew as they dedicate "Moment of Surrender" to The Big Man.